The automotive sector is constantly evolving. New technologies appear every year, the latest systems integrate more and more electronics, so the tools and equipment are year after year more sophisticated. Therefore, the repair of the vehicle is becoming increasingly complex for professionals in the sector. Consequently, continuous training has become an important necessity for the sustainability of their employment, as well as for professional development and diversification of automotive technicians. Aware of this challenge, Grup Eina Digital has been dedicating itself since 2003 to the development of high-quality electromechanical training courses aimed at professionals in the sector. The objective of these courses is to update the technical knowledge of their participants and develop their skills to stay competitive and make their business grow. Those types of courses are oriented to automotive technicians and repair professionals with an advanced level of technical knowledge. Our training courses are delivered by highly qualified trainers with important work experience, in other words, authentic automotive repair experts with pedagogical skills. In addition, our trainers have the added advantage of being responsible for developing (through coordination of the work team) both the theoretical contents of each course and the preparation of the practice vehicles. Our courses include practice vehicles that are specially prepared cars for pedagogical exercises: the cabin and wiring of the car are entirely enabled for practical exercises. In this way, we optimize the time during the session and the participants of the course can carry out numerous practices on the vehicle. In addition, we equip our practice vehicles with the GED BOX, a product developed internally by our company that could be defined as an electronic fault generator. 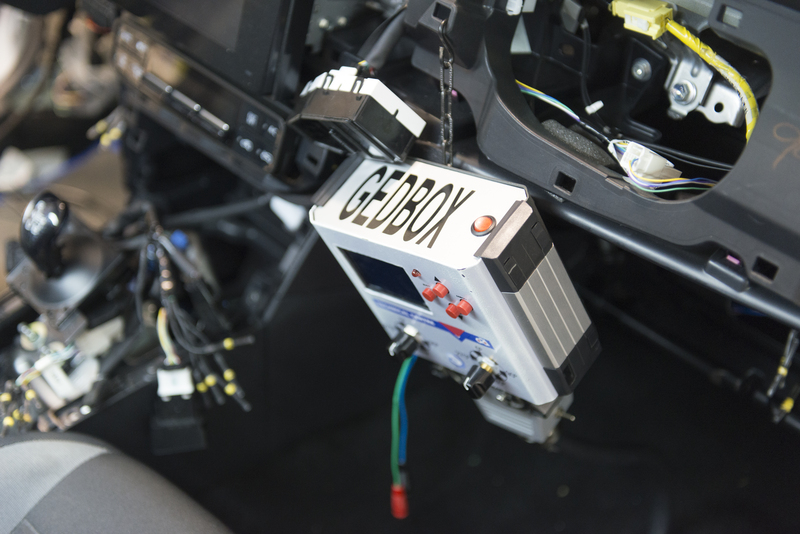 The GED BOX is an electronic box that can be connected to any control unit of the vehicle to modulate electrical signals and then to cause failures. The objective is to reproduce real situations that the participants of the course can face in their work activity. 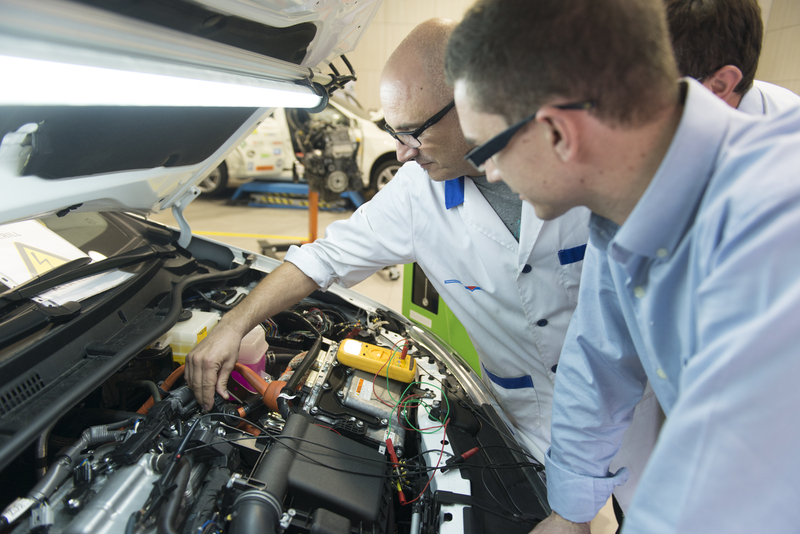 It should be noted that the selection of car failures is based on a previous data analysis from our technical support department (call-centre): when we identify on the market faults that are often recurrent or very problematic on a specific system or vehicles, we programme them in our GED-BOX, so that they could be delivered in the course. Our training formula is based on a very practical course concept: each session is composed of 30% theory and 70% practical exercises. Our philosophy of training lies in providing resources to mechanics in order to allow them to see, interpret, play, intervene, locate, and diagnose the systems analysed during the course. On the other hand, we also proceed to train theoretically the participants in technical concepts, constitution and operation of systems. Based on an analysis of the technical enquiries carried out through our call centre, we select vehicles that generate a significant volume of failures in mechanical workshops. We select vehicles that integrate technological innovations, new innovative systems that are also implemented in numerous car models and in other makes. We also select vehicles according to our customers’ guidelines and needs. During our courses, we analyse the whole electronic architecture of the vehicle as well as the different implemented systems (injection system, comfort system, engine management, etc.) In addition, a monograph (close-up) of a specific system is developed with the purpose of a deeper analysis. During the training session, participants are taught how to interpret wiring diagrams, diagnose and repair procedures, signal checks, and component location based on the most modern equipment and workshop tools. During our training courses, participants are going to learn how to manipulate latest generation equipment such as: diagnostic machines, oscilloscopes, gas analyser, multimeters, etc. For the good assimilation of the concepts analysed in the course, we give each participant a didactic support material that includes a foillow-up notebook of the practices, a theoretical content dossier that can be delivered in several formats (e-learning module or USB memory stick). We provide technical training services in Spain, France, Portugal, Sweden, the United Kingdom, Ireland, Hungary and Romania. All training material of Grup Eina Digital is approved by the Ministry of Education and Culture of Spain. In 2005, an agreement was signed with the Ministry of Education and Culture of Spain, with AD Parts distribuitor and with almost all of the Spanish regional delegations for the implementation of the “Eina Programme” in all automotive professional training centres of the Spanish territory. Futhermore, in 2016, Grup Eina Digital has been approved as a technical training centre by the British organization IMI – Institute of Motor Industry.